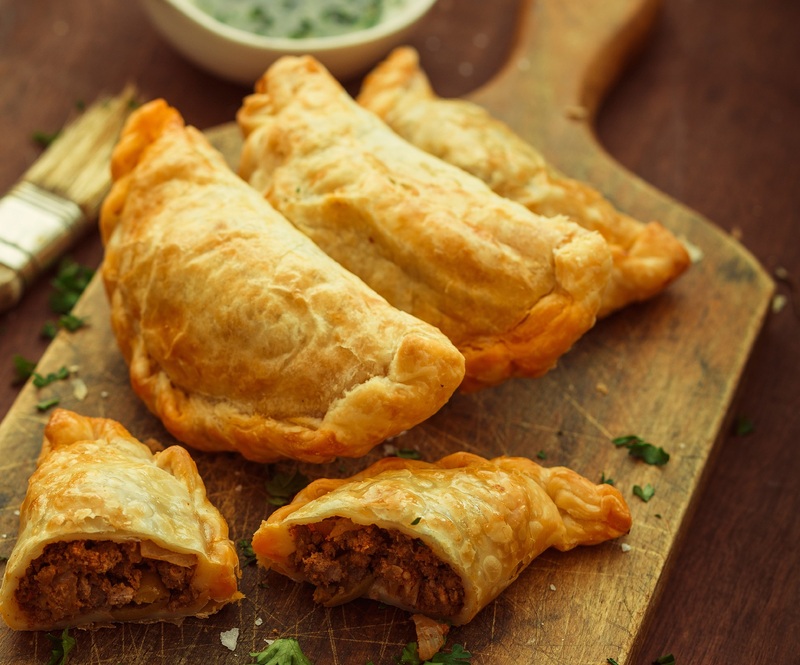 In the U.S. people eat burgers and hot dogs, in Chile people eat empanadas. Empanadas are very popular, cheap, and delicious. I do not think that in U.S. we have something, so similar to empanadas, like dulce de leche to manjar (only in Chile). Probably the closest thing would Calzone Pizza, but I do not like to use word close, because they are not close at all. It is only same idea of putting some sort of ingredients into a “packet”. Mainly there are two types of empanadas, and so you can guess both are unhealthy, but delicious. Empanadas are ether baked or fried. Both kinds come in very different shapes. 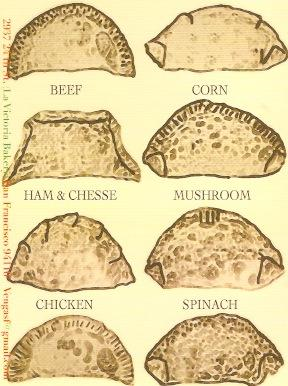 The different types of empanadas. And as you can probably guess, there are all sorts of empanadas even though a fried empanadas contain usually cheese only inside. Actually, I have never had a fried empanada with cheese. But the baked ones have all types of ingredients like, cheese and championess, meat and onions, chicken, championess and tomato sauce etc. Lastly they are really cheap. 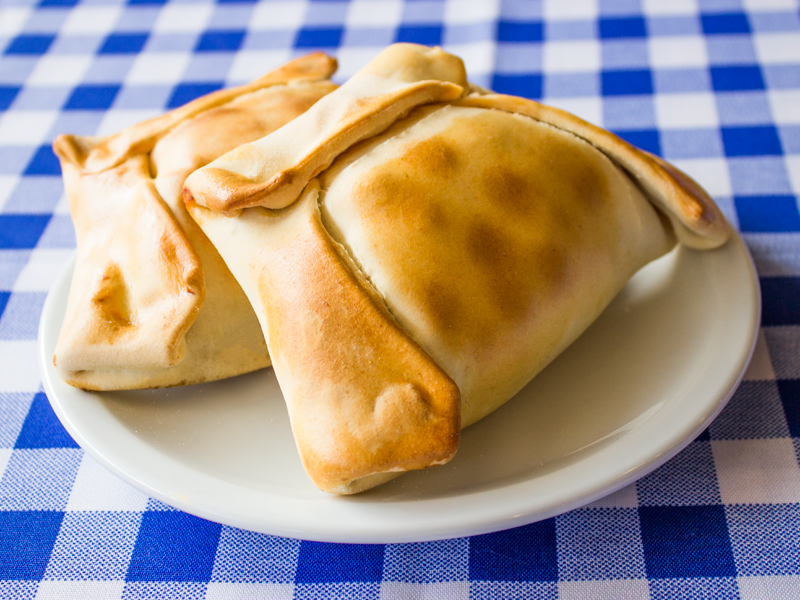 You can buy four empanadas for 1990 Chilean Pesos, which is about 3 U.S. dollar (1990/650). One USD equals to 650 Chilean pesos. The most common type of empanada. Empanada de Pino. If you get a chance you should definitely try empanada!